Seoul, Korea-based automotive supplier Hyundai Mobis, the “parts and service” arm for the automakers Hyundai Motor Company, Genesis Motors and Kia Motors, is launching its first open innovation center, ‘M.Cube’ in Silicon Valley. M.Cube will source and invest in startups possessing new technologies for future vehicles such as self-driving, the company said in a statement. Hyundai Mobis will use M.Cube as its core base to discover and invest in startups with strong growth potential in the areas such as self-driving (sensors, logic, software platforms), connectivity (Infotainment, biometrics) and innovative new businesses (AI, vehicle security), to strengthen its technologies for future vehicles. The company has appointed Dr. Sean Ryu, as the head of M.Cube. 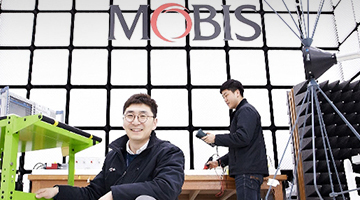 Hyundai Mobis is currently operating a technology research institute in Korea and a total of four overseas institutes in North America, China, Germany and India, with 3,000 researchers. The company also has a research institute in Vietnam that conducts analysis on self-driving data.